1.) 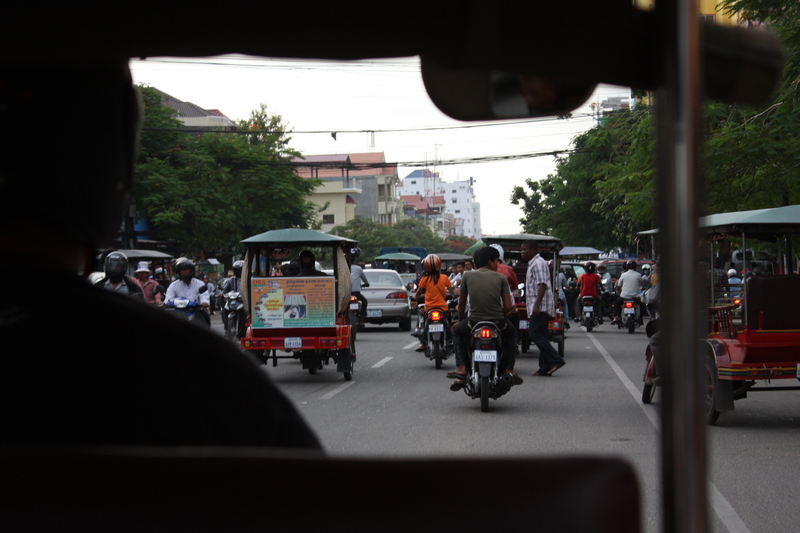 Tuk tuk traffic flows like a stream, constantly interrupted by other motobikes or tuk tuks driving the opposite direction. A predictable chaos, if you will. 2.) The country has an incredibly dark, sad history where nearly 2 million people were murdered by Pol Pot and his Khmer Rouge regime between 1975-1979. 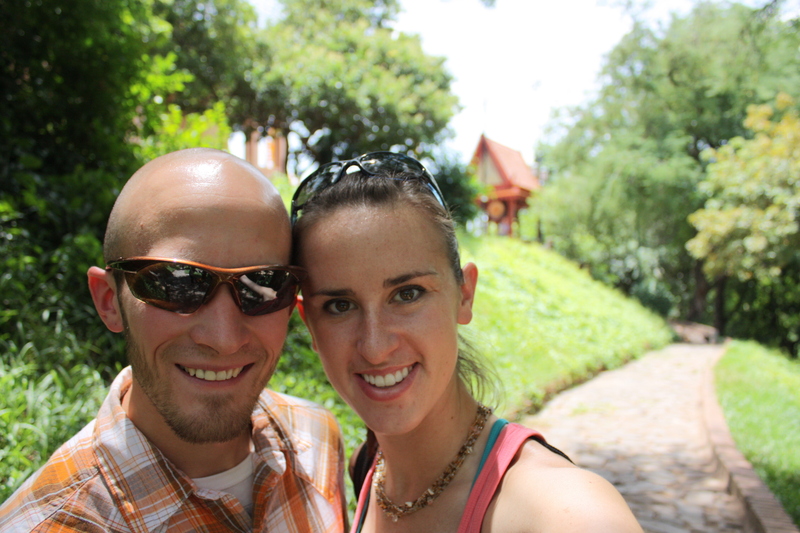 We visited the Tuol Sleng Genocide Museum as well as the heartbreaking Killing Fields. I don’t want to share the pictures on my blog, but the images and stories will haunt me forever. I wasn’t prepared for how much this part of the trip would affect me. 4.) 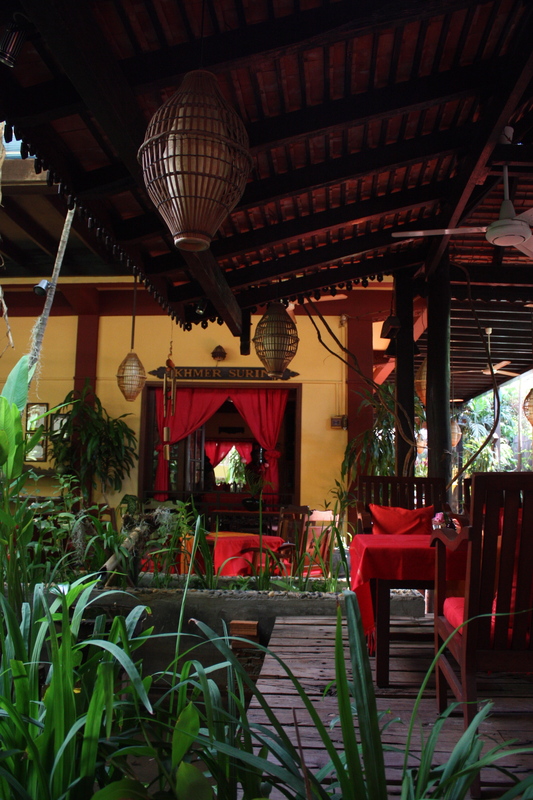 Cambodian guesthouses are more comfortable and welcoming than most 5 star hotels, and only cost $10-20/night. 5.) Food and beer are ridiculously inexpensive. We never spent more than $10-15 for dinner and drinks between the two of us. Local Angkor beer cost $1/pint. 6.) 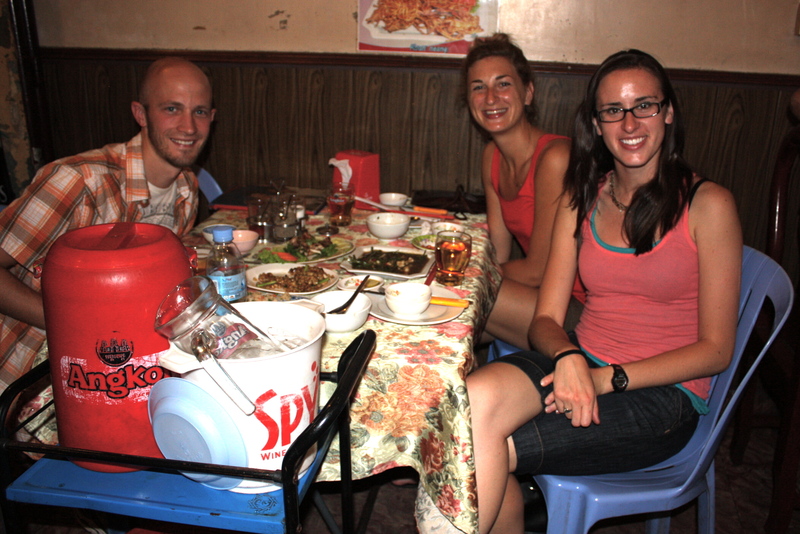 We tried a bunch of local food, but I’m sad to admit, I’m not a big fan of Khmer cuisine. 7.) 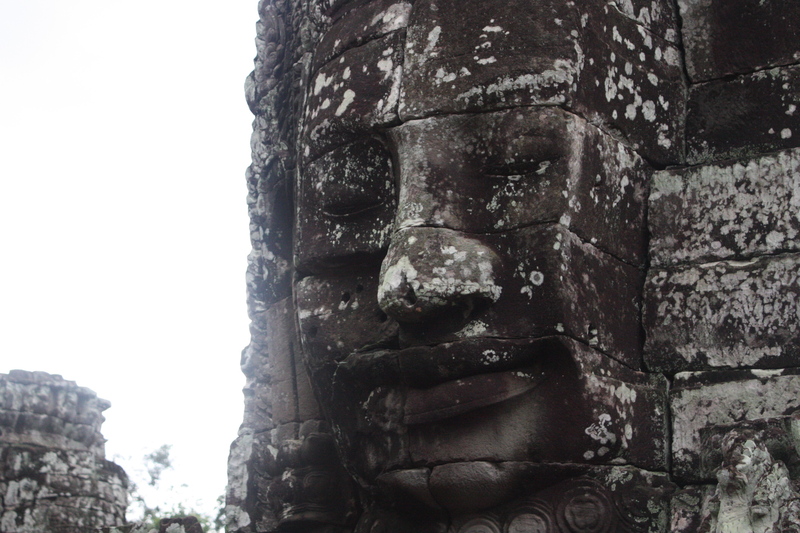 The temples in Siem Reap blew my mind. They were built around 1000-1200AD, and they are just plain incredible. 8.) 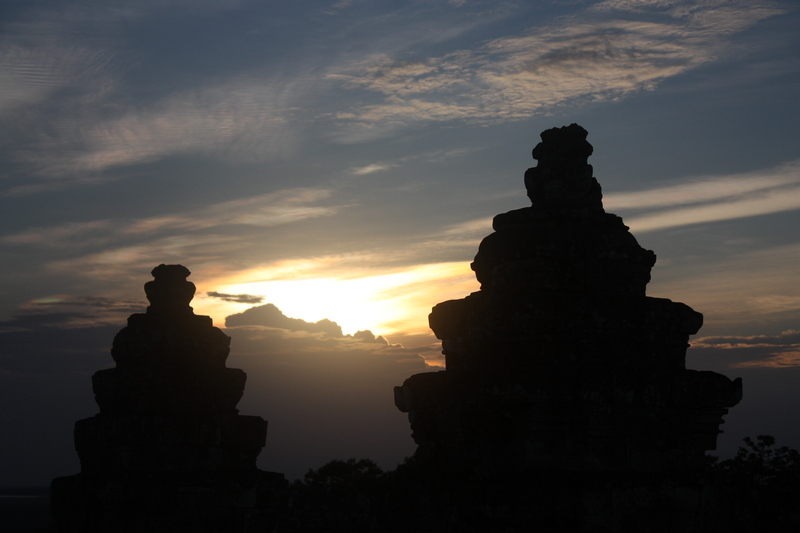 Thousands of people climb to the top of Angkor Wat (temple) to watch the sunrise/sunset everyday, because it’s believed to give you good luck. I’m so glad we made it a point to participate in this tradition. The view was well worth the wait and hike. 9.) Running in Cambodia was safe but very, very hot and humid. 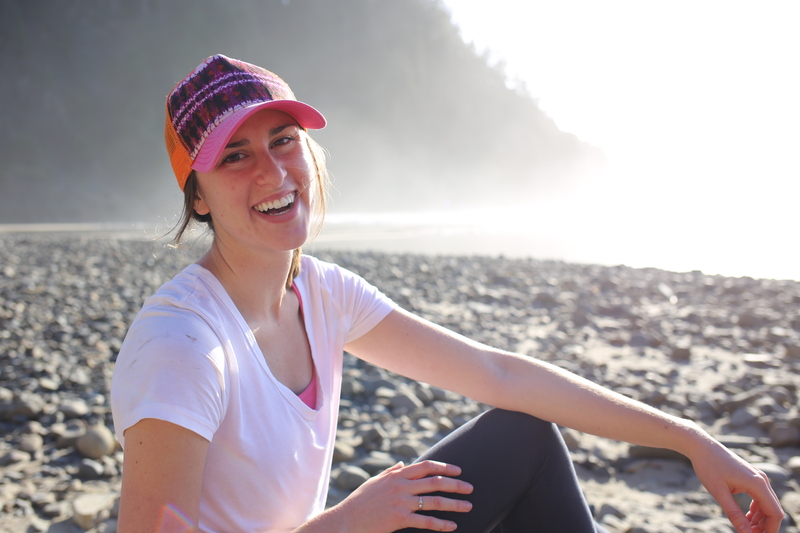 And because of custom/culture, we needed to run in knee-length shorts and sleeved tshirts. 10.) Hiking temple steps in the rain is both rejuvenating and terrifying. 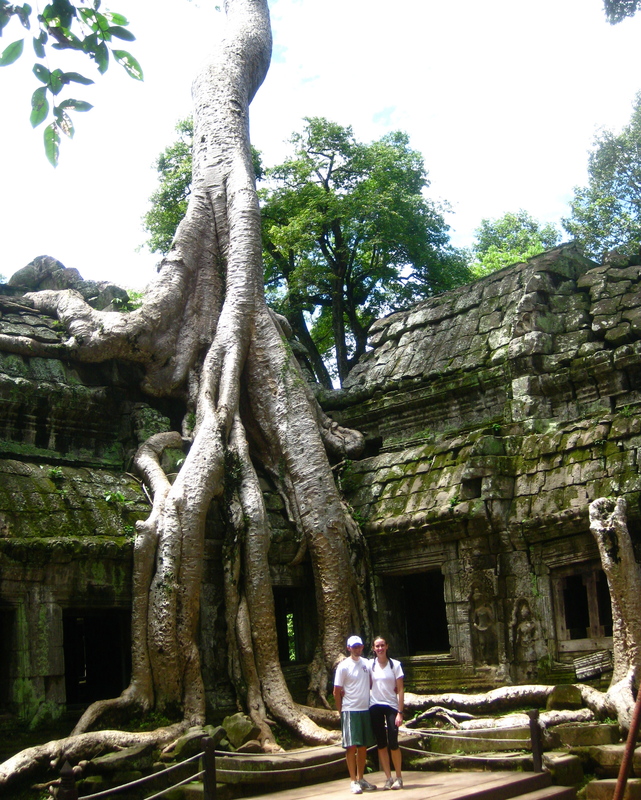 I loved Cambodia. If you ever have the means, I urge you to visit. It’ll blow your mind. It’s an amazing country, lovely and luscious and full to the rim with kind people and flush culture. 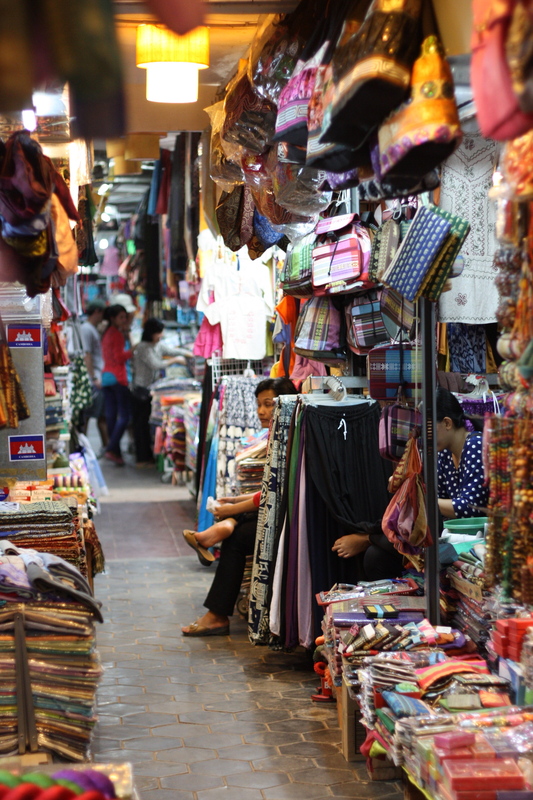 After 7 days in Cambodia, we packed our backpacks and traveled to Kuala Lumpur, Malaysia… stay tuned for part 2 tomorrow! Very cool. Thanks for sharing your experiences and photos. 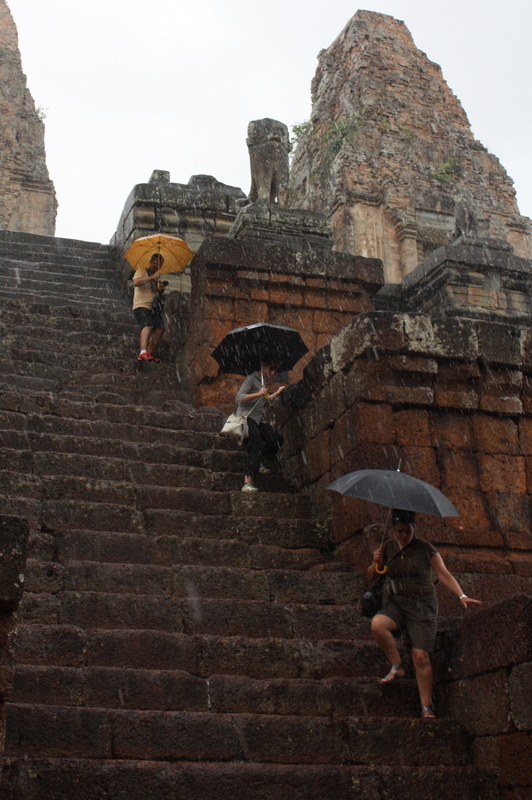 Those temple steps definitely looked scary in the rain! Looking forward to hearing about Kuala Lumpur. Yay, I am SO glad you guys loved it! Those photos look amazing! Sounds like you had a great trip! I read a great book on the Khmer Rouge regime called “First They Killed My Father”. It’s an easy read, and very worth your time. 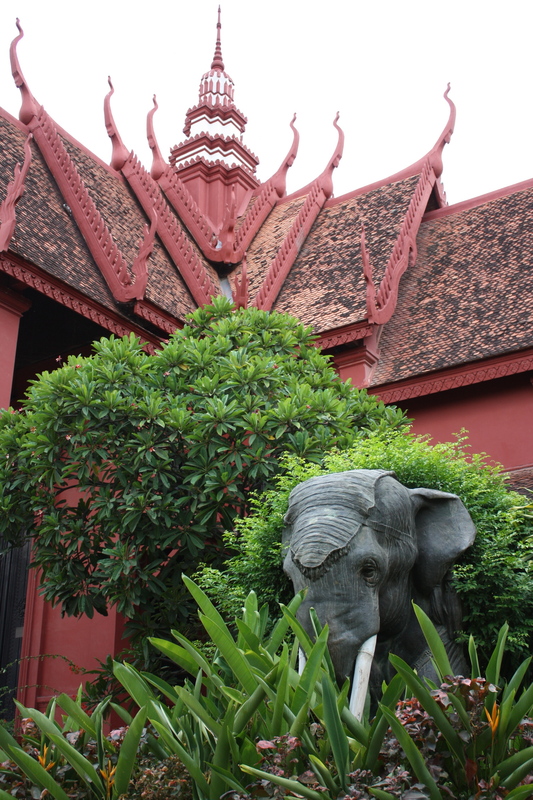 I would def recommend if you’re interested in that part of Cambodian history.